I just purchased Affinity Photo for my iPad pro and am rather excited to give it a work out. I am just loving how fast the app is. It's a little crazy actually. However I seem to have run into a snag: the workflow isn't seamless. Perhaps I am missing something. 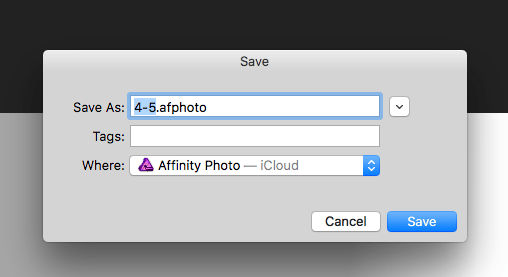 In order to work on a file on the iPad that was started on my desktop and is stored in my "Affinity Photos" directory on my iCloud, I must first import that file into AP on my iPad. It doesn't seem possible to simply open the file from my iCloud on my iPad. When I want to continue working on that file from my desktop, I must first open the file from my iPad and choose "Save As.." This ends up duplicating the file and my desktop must work on the newly duplicated file rather than the original. If I want to go back to working on the iPad I must repeat this whole process again. It's not very roundtrip friendly nor seamless as it requires additional work managing the individual files on the back-end. In a way it almost feels like opening your AP file on the iPad is a dead-end. Applications like Pixelmator and Graphic by AutoDesk allow you to simply open your file and pick up where you left off on the MacOS. It's very common in Graphic, for instance, to start an illustration by hand on the iPad then switch to my Mac Pro and fine-tune the illustration and add more detail and then going back to the iPad to doodle potential additions on a new layer and so on. This ability to roundtrip is what MAKES working on a mobile device. Without such working on tablet begins to feel awkward. 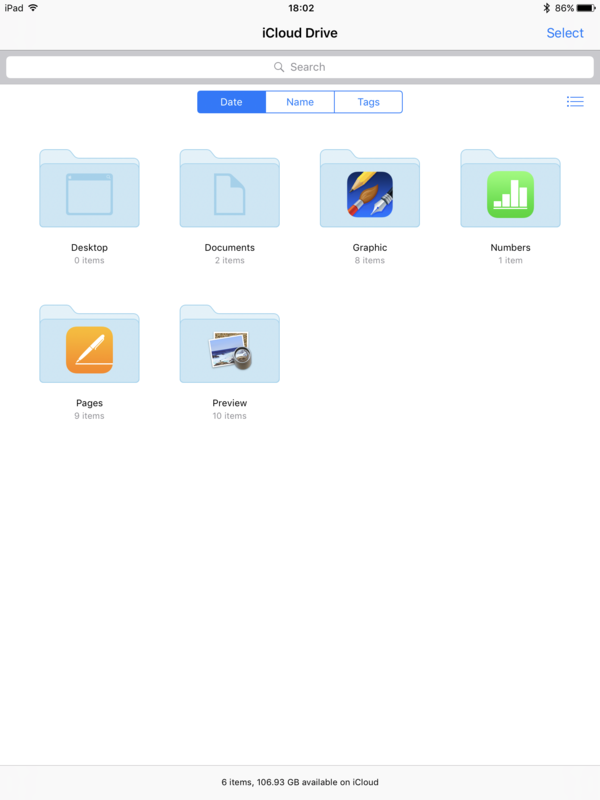 I hope that full iCloud integration comes to AP on the iPad soon (or better yet I hope that I'm just missing something and its already there) because I'd love to use it as part of my every day workflow. Already the app looks and runs far better than I would have imagined for a first release. PS Really good execution in the presentation yesterday. Well done. We already have iCloud integration in the iPad app. If you click the import from cloud button (see screenshot 1) and then go to the Locations section (see screenshot 2) you should be able to import from iCloud. Open the Preferences on your Mac, iCloud section, then press the Options button in front of iCloud Drive and check if you have both Affinity Designer and Photo apps ticked there. I have both apps checked on My Mac but do not see either of the folders on my iPad in the iCloud Drive app. Hopefully this is something that can be looked into? Seems there's a few issues here which i'm still checking out. Can you tell me if you have saved at least one file to those folders on you Mac (see screenshot - the Where dropdown)? This is a very critical feature for people like me who work on many files each day and would like to incorporate this software into our workflow. Pixelmator and Graphic by AutoDesk have done terrific jobs implementing this feature. So has Apple with Pages, Numbers and Keynote. But none of those programs do what I need to do with photos like Affinity Photo does. This is something we wan to look at for a future update. 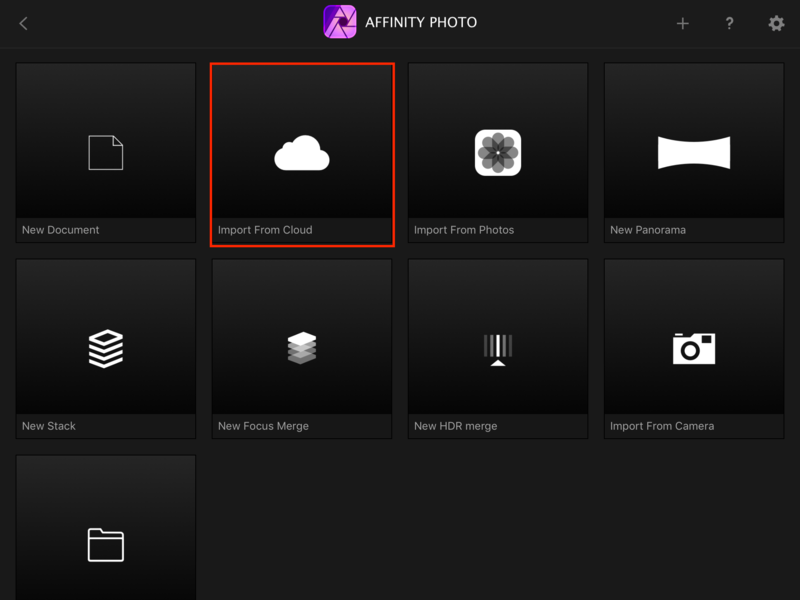 The main problem is the size of the files you can create in Affinity but we hope we can work around iOS issues to produce a solution. So I assume files created In AP on iPad stay local until you export? I have 2 iPads both running AP using the same iCloud email address. The files created on one iPad do not show up on the other iPad as happens with many iPad apps (ie Pixelmator and Apple Apps). I notice Procreate functions the way your app does, but the Pixelmator method is very convenient. This isn't a question, obviously, it's more of a feature request.